For those of you that do not know, Google Analytics is now live and ready for anyone that has a website. Even more exciting is the fact that Google has recently announced that they are launching a slightly new interface that will be even more intuitive. (please see the bottom of the article to take the tour!) This new interface will be more effective in its different forms of reporting. Perhaps your traffic is down but your traffic conversion is way up – these new changes will help illustrate this much better. Being a professional internet marketing and search engine marketing company it is even more important for us to measure and quantify client website traffic so that we can ensure we are ensuring we are targeting traffic as effectively as possible. For this reason in today’s issue of our www.risetothetopblog.com I have decided to list the top 5 areas I find to be most essential in gaining perspective on. 1/ Site Overlay – Found under Dashboards – Site Overlay – By looking at this useful tool it is easy to see where people are clicking once they get to your website. Why is this important? Well perhaps you are seeing that you have a link that describes the pricing of your services that many people are going to. In this case you would want to look and understand why and ensure you are serving relevant information to your website visitors. Further to this, this area also shows the exit rate of new visitors. Have you ever wondered how many visitors come to your web site and then leave? This tool will tell you! 2/ Referring Source – Found under All Reports > Visitor Segment Performance > Referring Source – I find this to be an extremely interesting way to monitor how your web traffic is finding your website. Are you doing radio advertising? You may want to look at the trends for ‘direct hits’ to your site. If this is up a great deal then you know that the radio advertising is helping. 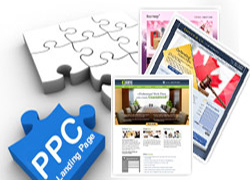 It also segments whether a website visitor is coming to you from a pay per click campaign or from the organic searches. It also segments which search engine or website your web traffic is coming from. Understand this area and you’ll understand what is working for your company online. 3/ Defining Goals – For those of you that use ‘conversion tracking’ in Google Adwords you may be somewhat familiar with the basic foundation. Goal setting, however, is far more powerful. With this tool you are able to set a goal for the visitors of your website and set an actual path that visitors must follow to achieve that goal. For example, visitor goes to homepage, then product information page and then to purchase screen. They have achieved the goal! We set a value for obtaining each goal and can therefore track the value of a given Google Adwords campaign. 4/ Geo Location – Found under All Reports > Visitor Segment Performance > Geo Location – I find this report to be extremely helpful in helping to determine if traffic coming to the website is targeted to the end user properly. The GEO location tab is so specific that it actually tracks the IP address where each visitor is coming from and can tell you by city, region, state and country where your visitor segmentation is. Notice a great deal of traffic coming from California, Texas, Toronto, Canada? It might just make sense for you to target some of your website to geo specific information of interest to that region. 5/ Entrance Bounce Rates – Found under Dashboards > Marketer > Entrance Bounce Rates – While this page may receive very little attention from most I find it compelling and here is why. Imagine if you could go into a department store and understand which displays or setups are causing people to stay and look for an extended period of time or which ones cause people to turn around and walk right out? This section will actually help you to see where people are entering into your website, and also what percentage of people are exiting or ‘bouncing’ right away. Don’t get too frustrated because you will never be able to keep 100% of your visitors but by improving your overall conversion friendliness of your website design you can reduce your ‘bounce rate’ from 60% to 40% rather easily. 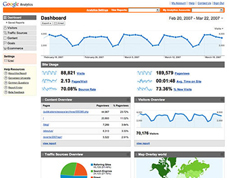 There are many more tools which are helpful Google Analytics. Over the next several months TechWyse will be gaining its ‘Google Analytlcs Authorized Consultant’ status and will be an official Analytics partner of Google. We look forward to providing much more powerful information on ROI and conversion! Click to watch the latest tour outlining how Google Analytics works! So many things have changed for Analytics since 2007! Some are very good changes indeed. I am yet to become very familiar with it’s newest interface. 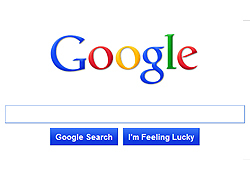 I personally like to see which keywords people type in to find my websites and what search engines they are using. I have a site that isn’t ranking well on Google but is getting decent traffic from both Bing and Yahoo. I’m ranking very high in these two while I’m on page 10 on Google.